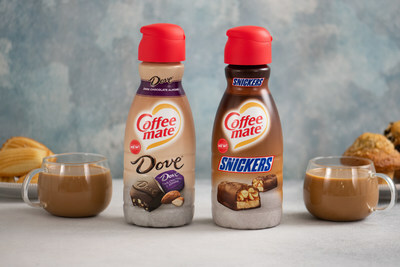 ARLINGTON, Va., Jan. 15, 2019 /PRNewswire/ — Move over salted caramel, peppermint and gingerbread, Coffee mate® SNICKERS® and DOVE® Dark Chocolate Almond flavored creamers are a new, buzzworthy way to make a morning coffee treat. With fan-favorite flavors from the candy aisle, anyone can be their own barista and whip up a delicious coffee creation. Both Coffee mate® SNICKERS® and DOVE® Dark Chocolate Almond flavored creamers craft a tasty coffee drink — at home or at the office — and offer freedom from the chaos at the coffee shop. 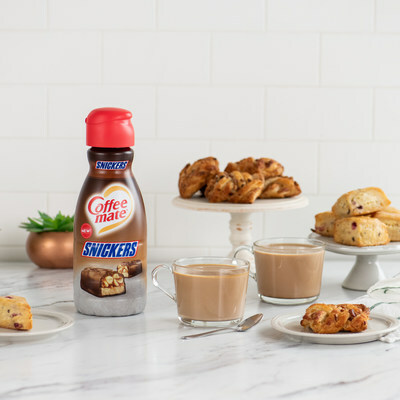 Coffee mate® SNICKERS® flavored creamer – A chocolate creamer with notes of peanut and caramel pays homage to one of America’s favorite chocolate bars while delivering the delicious, creamy flavor that Coffee mate® is known for. 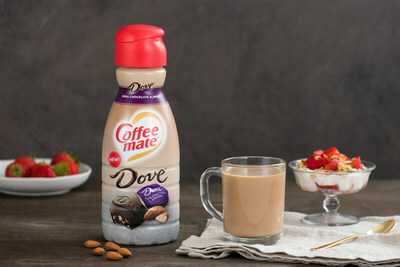 Coffee mate® DOVE® Dark Chocolate Almond creamer – The silky smooth sweetness of dark chocolate creamer combined with the delicious taste of almond will transform coffee into a pleasure full cup, appropriate for any time of day. Coffee mate® SNICKERS® and DOVE® Dark Chocolate Almond flavored creamers are now available at grocery retailers nationwide in 32 oz. bottles for a suggested retail price of $3.59. They can be found in the refrigerated aisle.